Lower Thames Crossing boss Tim Jones has said the complexities involved in a public-private finance arrangement for the £4bn to £6bn scheme could be more challenging than its construction. Jones told New Civil Engineer that crossover issues between an existing private finance contract on the M25 and an existing public maintenance contract in Kent could pose challenges. Jones, who is the project director for the Lower Thames Crossing, used to be chief executive of Connect Plus, the organisation appointed by Highways England to manage the M25. “I think most of the industry knows that we have been put under some examination by the treasury to look at a combination of private finance and public finance,” he said. The project is one of several the government has mooted for a new model of public and private financing on major schemes. A joint venture between CH2M, Arcadis and Cowi, called LTC Cascade, is Highways England’s technical partner for the project. A public consultation last year (2016) gathered around 47,000 responses, the largest ever recorded for a road project. As the route cuts through the publicly sensitive green belt, design will be scrutinised closely. “The way that it’s designed through the green belt cannot be a bog-standard, utilitarian design, that one might say is pretty featureless,” said Jones. Plans for green space and ergonomic portal designs will go before a design panel made up of architects and landscaping professionals for approval. Several junctions on the route pose a significant engineering challenge, said Jones. “On the surface of it, you would think that these roads are very typical of what we would do [when] doing bypasses or new motorways. That may be so, but when you start looking at the junctions, the junctions are highly complex,” he said. 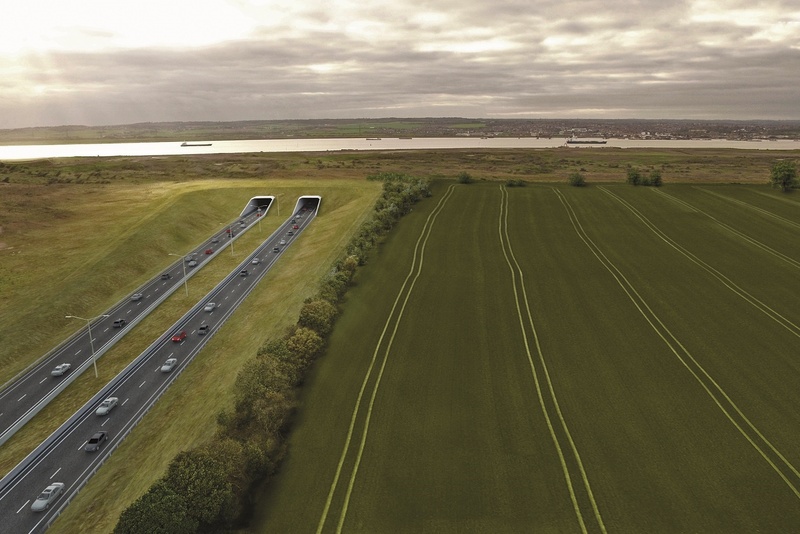 The 21km road would cross under the River Thames via two bored tunnels (northbound and southbound) east of Gravesend, Kent and emerge near Tilbury in Essex. North of the river, a new road would run from a new junction on the M25 between junctions 29 and 30 and connect to the tunnel via the A13. To the south, a new road would run from the tunnel to the A2 east of Gravesend. The 17m diameter, 3.5km long twin-bore tunnels will need 35 cross passages and 3250 pre-cast concrete rings between them. Each will hold three lanes instead of the two initially proposed, to future-proof the crossing. 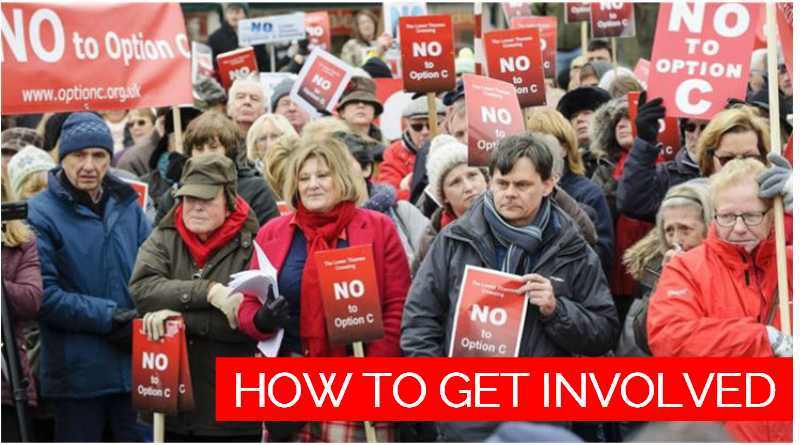 A second public consultation will be held in mid-2018.